Visual Communications, the nation’s premier Asian Pacific American media arts organization, has announced an exciting new alliance with New Day Films to offer select titles from VC’s award-winning filmography for streaming licenses for schools, universities, and individuals. The release of ten classic VC titles on New Day Films’ website represent an exciting new chapter in the organization’s ongoing mission to develop and support Asian Pacific American cinematic voices of multiple ethnicities and generations. 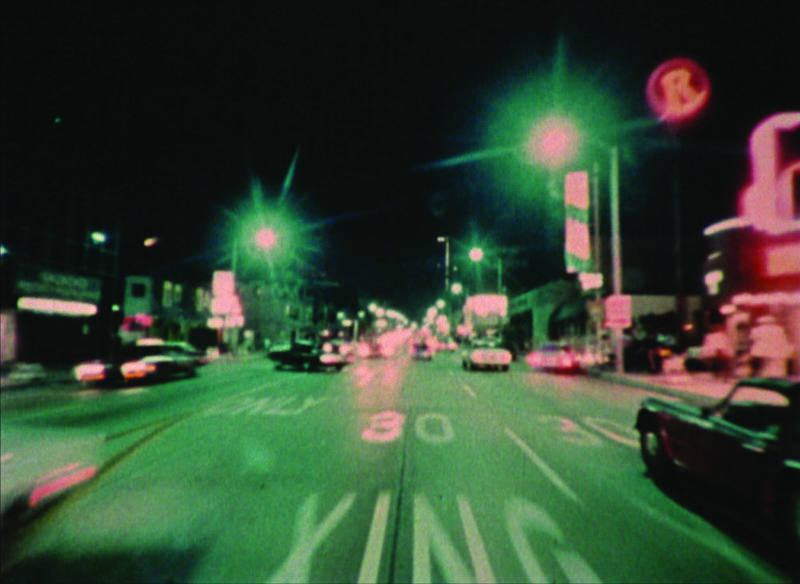 CHINATOWN TWO-STEP is VC co-founder Eddie Wong’s examination of the growing suburbanization of Los Angeles’ Chinese American community as seen through the exploits of the L.A. Chinatown Drum & Bugle Corp, aka The Imperial Dragons. A youth marching band whose members see themselves as perennial underdogs in every competition and parade in which they participate, the Imperial Dragons offer a crucial foothold for members and family alike whose inroads into American society threaten to alienate them from their community. CITY CITY by VC co-founder Duane Kubo, offers the director’s unique take on L.A.’s urban landscape and the many ethnic communities that live, work, and play in it. Conceived as an alternate take on children’s programming as viewed through a more inclusive perspective, Kubo’s film is distinguished by intriguing motion graphics work supervised by Donna Deitch, later the director of the pioneering LGBT classic feature DESERT HEARTS. CRUISIN’ J-TOWN observes the development of a uniquely Asian American identity as viewed through the perspectives of musicians Dan Kuramoto, June Okida Kuramoto, and Johnny Mori — members of the jazz-fusion band Hiroshima. Through intensely personal interviews, VC co-founder Duane Kubo’s documentary masterpiece profiles the members of Hiroshima, ranging from arts, personal identity, and cross-cultural unity in celebration of the unifying effects of music and the performing arts as a means of bridging cultural and generational divides. …I TOLD YOU SO, by core VC staff member Alan Kondo, offers a glimpse into the world of Lawson Inada, a noted Japanese American poet, author, editor, and educator. Director Kondo’s monochrome profile of the artist centers on Inada’s hybrid upbringing in multi-ethnic Fresno, California and articulates the author’s take on growing up Japanese in a largely Chicano and working-class community, and on Inada’s efforts to transmit his cultural upbringing to family, friends, colleagues, and students. KITES AND OTHER TALES, by VC co-founder Alan Ohashi, effectively marries animation art and cultural folklore in profiling Tom Joe, a kite-maker based in Redondo Beach, California. Distinguished by virtuoso and humorous illustrations provided by Alan Takemoto, KITES delivers an entertaining story about kites and their special place in the myths, heritages, and folk tales of various Asian American and Pacific Islander communities. PIECES OF A DREAM, a complex, multi-layered profile of the Asian American communities of the Sacramento, California Delta farming region, finds VC co-founder Eddie Wong pondering the effects of industry and migration on the Locke region, home to one of the nation’s first “Chinatowns.” Now reduced to being a tourist trap, Locke residents — Japanese, Chinese, and Pilipino Americans alike — lament the marginalization of their vital contributions to the “American” story, even as progress threatens to obliterate their community’s very existence. TO BE ME, TONY QUON, by core VC staffers Pat Lau and Don Miller, profiles an ebullient L.A. Chinatown elementary school student — a recent arrival to America from Hong Kong. Ten year-old Tony Quon’s days are occupied with constant challenges to fit into a new school and social environment, all the while making new friends and adopting new “American” customs as he holds on to traditional ones. Life for young Tony is a struggle, but every day, things are getting better. WATARIDORI: BIRDS OF PASSAGE, by VC co-founder Robert A. Nakamura, celebrates the legacy of the issei, or first-generation Japanese Americans. 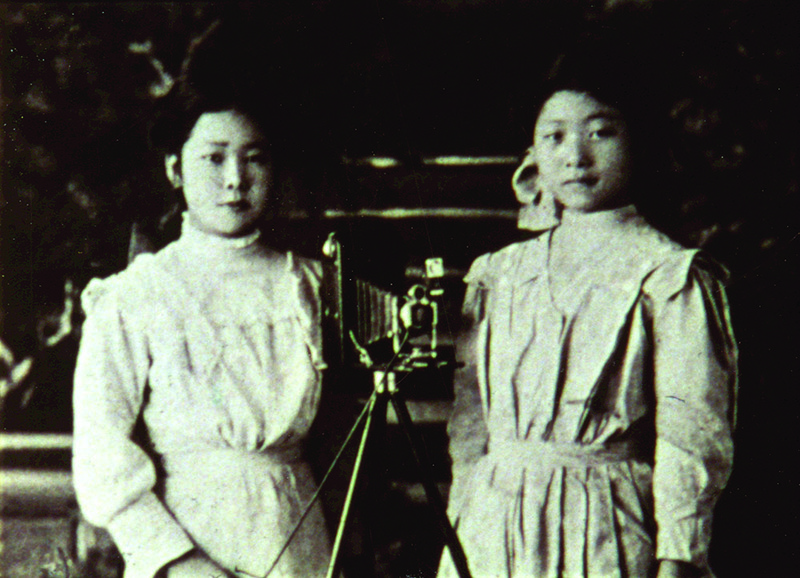 The hardships and achievements of multiple generations of Nikkei in America is observed through the stories of three characters — a laborer, a widow, and migrant worker — as they recount coming to America, enduring incidents of racism, and of passing down their stories, experiences, and life lessons to their children and grandchildren. WONG SINSAANG, a Visual Communications-distributed UCLA student project by VC co-founder Eddie Wong, offers a gritty yet impressionistic profile of the director’s father Frank Wong, proprietor of a Los Angeles Silverlake-based laundry and dry-cleaning business. Peré Wong’s daily routine — alternating between the daily grind of running a business that demeans and humiliates with the richness of his life and his dreams for him and his family — form the basis for one of the first-ever works to carry the “Visual Communications” brand. YUKI SHIMODA: ASIAN AMERICAN ACTOR offers a celebration of the life of veteran stage and screen actor Yuki Shimoda and the hardships endured by an Asian American in pursuit of a career in Hollywood. Directed by core VC staff member John Esaki, YUKI SHIMODA observes fond reminiscences as well as brutally honest observations about the realities of chasing an entertainment career, and holds up Shimoda’s story as an exemplar of struggle and dedication to one’s creative craft. Visual Communications’ films on New Day Films can be found at: vcmedia.org/newdayfilms. One and three-year streaming licenses are available for purchase, as well as opportunities to bring filmmakers and key staff to accompany films to select screening venues. For more information on Visual Communications’ films, contact VC at: distribution@vcmedia.org. VISUAL COMMUNICATIONS (VC) is the first non-profit organization in the nation dedicated to the honest and accurate portrayals of the Asian Pacific American peoples, communities, and heritage through the media arts. VC’s mission is to develop and support the voices of Asian American and Pacific Islanders filmmakers and media artists who empower communities and challenge perspectives. Visual Communications is funded in part by the Aratani Foundation, California Arts Council, Department of Cultural Affairs, City of Angeles, Los Angeles County Arts Commission, National Endowment for the Arts, Sony Pictures Entertainment, and VC Stakeholders and community partners. NEW DAY FILMS (NDF) is a unique, filmmaker-run distribution company, providing award-winning films to educators, community groups, government agencies, public libraries and businesses since 1971. Democratically run by more than 150 filmmaker members, New Day delivers hundreds of titles that illuminate, challenge and inspire. New Day was initially formed because the women's movement had arrived and a group of independent filmmakers were unable to find a distributor for their feminist films, so they decided to create one. Today, New Day members sustain the ideals that inspired the company's formation — partnership, great stories and changing the world — and curate its collection to encompass a wide range of subject areas. An Online Exhibit: What Do We See?